The Bible asks us to receive counsel from others (Prov. 11:14) and that in the mouth of 2-3 witnesses every fact is to be confirmed (2 Cor. 13:1). This is an example of a pastor submitting some two-way journaling to the CLU staff, because he was unsure if it was God, as it was quite harsh. The counsel he received moved him back into God’s light and love. His email to us follows. My name is Emeko Dite A. Ojoko. I am a lawyer, have been for 20 (going to 21) years. I will turn 41 on Mar. 22. I am also an Asst. 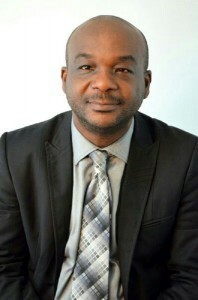 Pastor of Gateway International Church, in Port Harcourt, Nigeria, where I live & work. I’ve been married for almost 8 years. We have a 16-months old son. Your first mail to me last year & subsequent events were an answer to prayer. I have never had a prayer answered so quickly as when I asked HIM in January 2013 to teach me to know HIS voice. My life & service have changed significantly since I read 4 Keys to Hearing God’s Voice and started exchanging mails. Thank you for reaching out to me when you did. I know you must be very busy, yet you always give so time & attention to my issues. Thank you for that. I pray that many more will come to learn the truths that the Virkler’s have made so clear in their book(s). God bless you all & the great work you are doing. Below is the journaling I wish to submit to you. Let me know how you feel about it. Emeko: Good morning, I got this today. Could you help me confirm who it’s from, Him or me? Question: Good morning Lord. It’s been 11 days since we shared this time together. I’ve missed You. I’ve missed our time. What do You want to say to me today? “You can’t turn Me on & off like a tap. Its either we do this or we don’t. “I will know when you’re really ready. You just say you are but you don’t mean it. You can’t say I’m important to you & not give time to Me. Is this how you will treat Me when I bless you? Will you become so busy that you will not have time to be with Me? My blessing has not fully manifested, yet see how it is with you. If this is how you handle the mercy drops, what will the showers do to you? Please strengthen the cords that bind us. Things are coming that, if not well-managed, will pull us apart. You MUST build the habit of regular fellowship NOW. It must become second nature to you NOW!! This seems somewhat guilt producing and harsh, so some of your thoughts may be in here. Maybe you need to be repentant about your lack of focus or discipline if you feel so bad about it and receive God’s forgiveness and love so you can be strengthened. Most of these thoughts sound like the feelings you could be bringing to God and asking him to speak to you about how bad you are feeling. Come to God again and make what you thought you were hearing was God’s answer as your thoughts to Him and see what God’s answer is to you this time. Let me know. Question: Good morning Lord. I wrote some things yesterday that I thought were from you, but which left me feeling guilty. I remember thinking they sounded a bit testy or petulant at the time I wrote them but I still concluded that You must be upset with me for my lack of focus. What do You want to say about this? That’s it. What do you feel? That I say yes to. The second response was much more what I would expect to hear from the Lord. God is good. Isn’t it somewhat reassuring to know that even pastors sometimes need help discerning the voice of God in their lives? Do you want to receive training that will bring you to a place where you can confidently state “This is what the Lord spoke to me”? If so, CLU is the online Christian college for you!